^ Oxford guide, "Fighters" entry, pages 278–279. The Zero's supremacy in flight range is given in table 2, sourced to W. Green, Warplanes of the Second World War, 1961. 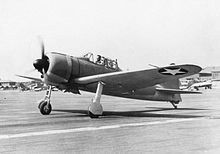 Maneuverability is described as "excellent ... Of the early Allied fighters, only the F4F Wildcat could oppose it on anything like equal terms." ^ a b Rearden, "Fighter", 54. ^ a b Rearden, "Fighter", 58. ^ Rearden, "Fighter", 72. 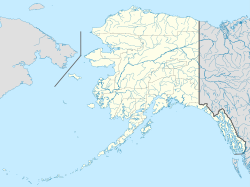 Appendix II contains an exhaustive list of repairs. ^ a b Degan, Flattop, 103. ^ a b O'Leary, 67-74. ^ a b Rearden, "Fighter", 88. Bergerud, Eric M. (2001). Fire in the Sky: The Air War in the South Pacific. Westview Press. ISBN 0813338697. Handel, Michael I. (1989). War, Strategy, and Intelligence. Routledge. ISBN 0714633119. Lundstrom, John B. (2005). The First Team and the Guadalcanal Campaign: Naval Fighter Combat from August to November 1942. Naval Institute Press. ISBN 1591144728. 奥宮正武, 堀越二郎, Martin Caidin (1956). Zero!. New York: E.P. Dutton & Co..
O'Leary, Michael (1980). 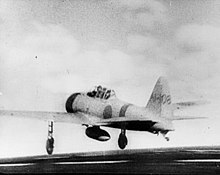 United States Naval Fighters of World War II in Action. Poole, Dorset, UK: Blandford Press. ISBN 0713709561. I.C.B. Dear（編） (1995). The Oxford Guide to World War II. Oxford University Press. ISBN 9780195340969. Degan, Patrick (2003). 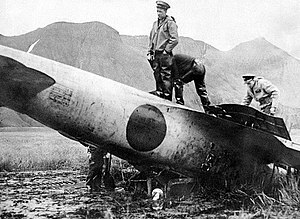 Flattop Fighting in World War II. McFarland. ISBN 9780786414512.